You are about to read one of the most remarkable and best-known autobiographies in all of western history. 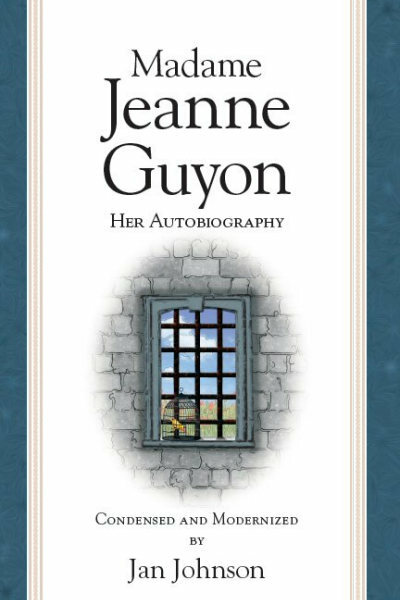 JEANNE GUYON is Christianity’s best-known and most influential woman in church history. Her autobiography has moved the hearts of believers for three centuries. Even today, in France, she is one of the greatest figures of French history. Today Guyon is revered by both Protestants and Catholics as one of the greatest sources of help in a deeper walk with God. Few Christians have experienced the depths of prayer as profoundly as Jeanne-Marie Guyon (1648-1717), a beautiful, wealthy French woman whose prolific writings, including an entire commentary on the Bible, have remained a treasured legacy of the church. Guyon’s influence reached to the court of Louis XIV. Jealousy ensued, and she was imprisoned in the infamous Bastille. Indeed, for most of her life she suffered persecution and endured imprisonment at the hands of the church, primarily because she believed all Christians could have a rich life of prayer. This edited, condensed, and updated edition of her autobiography— written from a lonely cell where she was imprisoned for her stand for Christ—reintroduces the power of a great woman of faith and the joy she found in the midst of grief and pain. Would you like to read this book along with others? Click here to join Renovare´ Book Club. This lets you discuss the book with others, read extra info about it and hear 3 related podcasts (including a Praying Scripture exercise). Madame Guyon used many spiritual disciplines to connect with God. What were they? Read more here.